Garbage bin that rewards you with free WiFi! He has donated his entire salary to charity for the 35 years he worked as a librarian. His retirement benefits and his share of family property were all used for social causes.He did odd jobs in a hotel or a laundry to meet his daily needs. No,it wasn’t easy for him as he was born into a rich agricultural family and wasn’t used to such life. He has slept on pavements and railway platforms to find out what it is like to be poor, without a roof over your head. During the Indo-China War when Nehru urged people contribute to the defence fund, he donated his gold chain to the then Chief Minister of Tamil Nadu. He does not wish to own anything as he believes that we don’t take anything with us when he leave this planet. He runs an organization `Paalam’ that serves as a bridge between donors and beneficiaries: it collects money and materials from those willing to donate and distribute them among the weaker sections. He is P. Kalyanasundaram. The United Nations Organisation adjudged him as one of the Outstanding People of the 20th Century’. An American organisation has also selected him as the `Man of the Millennium. ‘The Union Government has acclaimed him as `The Best Librarian in India’. He has also been chosen as `one of the top ten librarians of the world’. The International Biographical Centre, Cambridge, has honoured him as `one of the noblest of the world’. Born in August 1953 in Tirunelveli district of Tamil Nadu, Kalyanasundaram studied Tamil at St Xavier’s College. At that time he was so bothered about his shrill feminine voice that he even wanted to commit suicide at one point. It was then that he met Thamizhvaanan, writer of self-improvement books, whose advice he never forgot: “Don’t bother about how you speak. Strive to make others speak good about you.” He had found his calling: child welfare. While an undergraduate at Madras University, Kalyanasundaram started the International Children’s Welfare Organisation to help slum children. This was his initiation into social service. His resolve was strengthened in 1962. At the height of the Indo-China war, he made it to the columns of local newspapers when he donated his gold chain to the National Defence Fund. 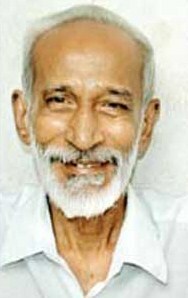 Kalyanasundaram thought the publication of the news in Ananda Vikatan, a popular Tamil magazine, would encourage more donations. But when he met the editor, S. Balasubramanian, he was dismissed as a publicity hound and challenged to prove his sincerity within five years. Kalyanasundaram began by apportioning his salary as a college librarian: Rs.40 for personal expenses, Rs.100 for children’s welfare. The five-year period soon ended but he did not stop. After that social service became his life. At one point, he decided to donate his entire salary and met his daily needs doing odd jobs. The anonymous good Samaritan worked thus for 27 years. In 1990, however, the truth was out. When the University Grants Commission gave him over Rs.1 lakh as arrears of his salary, Kalyanasundaram gave it to the district collector for the higher education of orphans. Though he didn’t want it to be publicised, the collector gave it wide coverage in the media. It was only then that his life’s work was noticed. Recognition in the form of a spate of awards followed. The gold medallist in library science, even donated the entire amount of Rs. 30 crores that he received with the Man of the Millenium award. For 45 years, Kalyanasundaram’s social work focussed on children. However, in 1998, after retirement, he decided to expand his service and, thus, Paalam was born. One of the first things he did was to direct the money he received as retirement benefit to social cause. Paalam serves as the link between donors and beneficiaries. Assistance is not only monetary. Children are helped in pursuing education, medical attention is provided to the needy, blood donation camps are organised and blood samples are reached to hospitals during emergencies, the unemployed, elderly, sick and handicapped are rehabilitated, and free counselling is provided. Great man. Role model to the world. Hats off sir.. Hats off to the `Man of the Millennium.He has done something ,which is unheard of,but as he was born in 1953,he must have been only 9 at the time of India China war.Did he really donate his golden chain at that age? That”s why he is P. kalyanasundaram not R. Singh! The write-up needs some corrections, obviously. But this doesn’t make him any less a personality. He deserves more recognition within our country. I wish someone knowing him personally would correct the dates in this article. The information about his year of birth is wrong. Some resource says that he is born on 10th May 1940. Make sure the detail is correct if needed. This article reported his date of birth wrongly. It was on 10th May 1940, not in August 1953. Hey Kishan thanks for the correction. Can you provide your source so that I can update the article accordingly? Seriously tears are coming out when we read about this persons charity,we should take him as a example to do charity.Hats of Kalyanasundaram sir,god may bless you with long and healthy life,people need you. Good man proud of u Sir. I bow .my head before this great man. The state govt shd recognise his services and recommend to thecentre for awarding the highest award in the country when selfish people are grabing such awards. The rich and the politicians who are after money shd learn from sri KS. He is another Kalaam for all of us to emulate. He is not just human. He is god in human form. A great person in the earth. I have not heard about any one like Mr KS. Great person to be a role model for all of us. My salutations to P. Kalyanasundaram. Hello Sir, I wish this great man would have been in Bangalore. I’m a poor girl, after 8 years my marriage got fixed ppl who agreed to help are not turning up. I’ve no idea what to do is there anybody in this world to help a poor girl for her marriage. Your small help will secure my life. Thank you. Great man I salute you sir .I want to meet you to touch your feet sir. Great person, you are . My salutations to you. May God bless you and your activities. I was a student of St.Xavier’s College , Palayamkottai from June 1956 to May 1958 doing Physics B.Sc. I will be immensely happy to be in touch with you. Great human being indeed. Such people are not seen now a days. I salute you sir and would try to emulate you to the extent possible in my remaining life. Great man. We need to take inspiration from him. No words are enough to express his dedication. “man of millennium” was my role model from today. I feel bad bcs I had known this so late. Hats off to you sir. It is a great inspiration to all of us. Have Anandavikatan Mr.Balu Changed his views about the nobleman later atleast ? The Grate man ,”Man of the millennium ” I really salute you Sir. People who got life from him really need to praise Kalyanasundaram sir . Hats off to you sir. எனது பெயர் B. சிவக்குார் நான் அவிநாசியில் வசித்து வருகிறேன் எனது அப்பா வேரொரு திருமணம் செய்து கொண்டு சிரு வயதிலெயெ எங்கலை வீட்டை விட்டு துரத்திவிட்டார் நான் சில வருடங்கள் சென்ற பிரகு 19 வயதில் வேரு சாதி பெண்ணை திருமணம் செய்து கொண்டு வாடகை வீட்டில் வசித்து வருகிறேன் எனது குடும்பம் மிகவும் ஏழையான குடும்பம் எனக்கு 2007 ல் ஒரு வாகன விபத்து ஏற்பட்டு எனது வலது கரம் படுகாயம் ஏற்பட்டது சிகிச்சக்கு பிரகு என்னால் சரிவர வேலை செய்ய இயல வில்லை குடியிருக்கும் வீடும் அதிகவருடங்கள் இருந்தபடியால் காலி செய்யும் படி சோல்கிரார்கள் நான் தாழ்த இனம் என்பதால் வீடும் வாடகைக்கு தர மருக்கிறார்கள் குழந்தைகலை வைத்து மிகவும் கஷ்டப் படுகுரேன் சொந்த நிலம் வாங்க 1200000லட்சம் குடிசை போடவும் தேவைபடுகிறது உதவி செய்யுமாரு மிகவும் தாழ்மையுடன் கேட்டுக் கொள்கிறேன் . City uniyan bank Avinashi Branch. bucks every month because you’ve got hi quality content. I have neither seen nor heard anyone like Sir Kalyanasundaram, who has redefined charity in his own inimitable style, indeed the Man of the Millennium! I salute you Sir, I have no words to express my appreciation for your works of selflessness and charity, you have denied yourself to help the needy and the less fortunate! Be a part of this revolution Join I See India today! I See India is an attempt to bring forth the better, innovative, happy and artistic India. If you have anything similar to share with the world, send it to admin@iseeindia.com Let us together change the perception of India! Subscribe to I See India Newsletters and have good news of India delivered to your inbox! Never see this message again.